We are Everest in the Alps. A young, bold adventure challenge company. 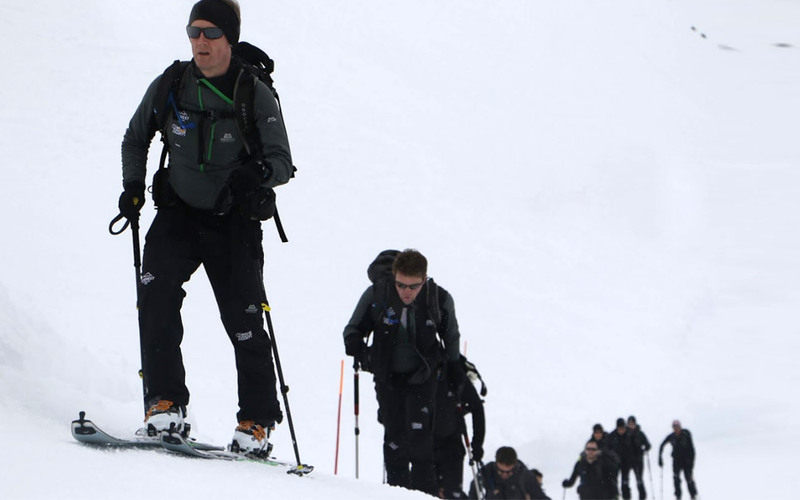 With our signature ski touring event, we enable everyday people to achieve the extraordinary. You don’t have to be an athlete to aspire to do something exceptional. What have you imagined you could do but turned down as it looked too hard, too different? Just not for people like you? Everest in the Alps gives you the confidence to take on that challenge. To be the sort of person that says ‘You know what, I can do that. I can achieve that goal. I can climb my Everest. I can make a difference’. Building on two successful events in 2015 and 2018, raising over £4 million for charity, 2019 marks a new step in the journey, inviting you to join the few who have completed this monumental ascent, and face the height of Everest for a cause close to your heart. Everest in the Alps is way a life. A way of life that pulls together teams of like minded people. It can help you set aside personal hardships, your ego or life’s setbacks to allow you to achieve something remarkable together, whilst raising money for your chosen charity. Whatever your reason for joining, you can be sure Everest in the Alps will transform you. Find your Everest. Everest in the Alps aims to inspire people to discover what really motivates them to find their peak. Often that can come from some of the most difficult challenges in life – and some challenges are steeper than others. For Toby Ritchie, it was being diagnosed with an inoperable brain tumour when he was 5 years old. For his father Rob, it was the feeling of helplessness but the determination to do whatever he could for Toby and others like him. Toby is a typical 10-year-old boy. He loves football, cricket and golf. Mentally, he’s far more robust and determined than most his age, but if you watch him play you’ll notice that physically he struggles to keep up: he’s unsteady on his feet and often falls over. It’s just one of the many side effects of having a brain stem glioma. Toby’s tumour took a long time to be diagnosed. He’d always had chest infections but in 2012 he was rushed to hospital with breathing problems after his right lung collapsed. 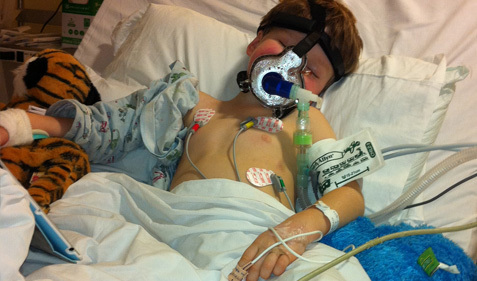 He was in intensive care for 10 days. Three months and numerous tests later, Toby had a brain scan and to everyone’s sadness and surprise a large tumour, the size of a snooker ball, was found at the base of his skull. The tumour is inoperable because of its position on the brain stem, which connects the spinal cord with the brain and controls many of the body’s vital functions that we take for granted, such as motor skills, coordination and breathing. Toby’s tumour will always be there. 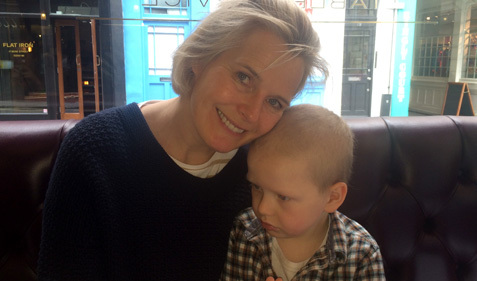 Since its discovery Toby has had to endure two major surgeries, 18 months of chemotherapy and many months in hospital. Throughout every obstacle he has faced, Toby has shown remarkable courage and strength beyond his years. He’s a true inspiration, and no matter how hard it gets for us on Everest in the Alps, we remember the incredibly steep climb Toby has had to make. One step at a time. That’s how you conquer a mountain. As soon as he learned of his son’s illness, Rob Ritchie was determined to do all he could to help. That’s when the idea of ascending the height of Everest on skis came about. Now after two successful summits in 2015 and 2018 Rob and his friends and family have raised over £4 million – the single largest donation The Brain Tumour Charity had ever received. 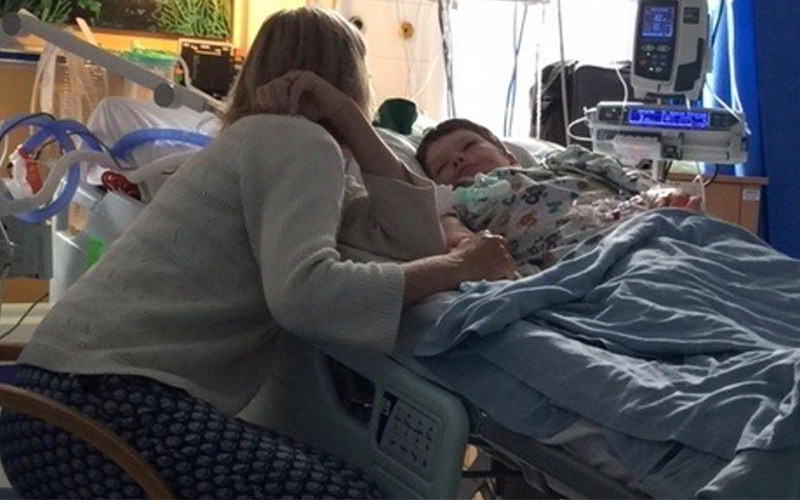 Together, Rob, his family and the charity, decided that the money should go towards a specific project, and it was agreed it should be in the area of low grade gliomas: the type of tumour Toby has that so little is known about. And so The Everest Centre was established in 2017 to conduct ground-breaking research, led Dr David Jones. Given how far it has come already, Rob is optimistic that Everest in the Alps can continue to surpass expectations. The first two ascents have been a huge success, but there will always be more obstacles to overcome, more Everests to climb. There are others like Toby who need people to fight for them. Rob hopes more will be inspired to take on the challenge and keep climbing to support more great causes.